Art and Angling Has A New Home! I have never considered myself a fly fishing snob, but I have become increasingly aware of my attitude towards the new wave of fly slingers and tiers Maybe it is the over the top hype and mass plaster of hipsters thrusting fish stuffed fists at a camera lens of every angle. Hurtful, I know and thank you for the support. I guess it is the same rant just a different generation that I heard when I came up through the ranks nearly 40 years ago. Back then, we had to wait for the latest copy of whatever fishing rag about fly fishing hit the newsstands. 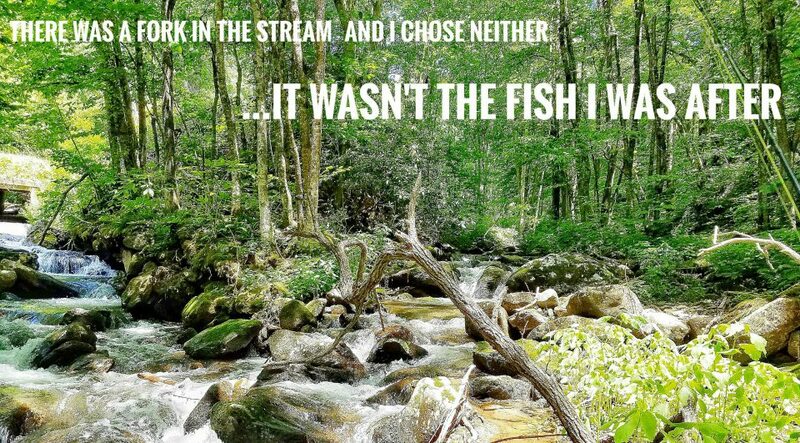 For a lot of us guys with the same frame of mind, it is mostly about how fly fishing has reworked it’s way back into pulp culture as some sort of whimsical activity to try and then scratch off the “at least I can say I tried it” list. We who border on relative disdain not necessarily for the person personally, but for their smug display of accomplishment as they thrust their fish in our faces all over social media. ‘Pure luck!’ I mumble as I scroll through Instagram and other social media outlets. I mean, the youth in the picture clutching the very life from the fresh caught salmonids proves his luck as he obviously lacks the wrinkles and gray in the thickness of the hair in face and head. He lacks the mileage that give time tested skill to hoist a fish like that from any place other than a fish farm. Some may call this piece a piss and moan bit from a grumpster who spends more time writing about fishing than actually wetting a line. Some old timers or fellow grumpsters may show solidarity with me and get angry enough to do something about this hipster take over of our beloved art, or maybe just take a nap, who knows.